Connect with Colleen at www.colleenhalverson.com. You can also find her on Facebook, Twitter, and Goodreads! Because so much of my research in Irish literature involves Faeries, ghosts, vampires, and other spirits, people often ask me if I believe in these things. My answer usually involves me giving my best Kanye-shrug while flashing a Mona Lisa smile. While I would love to be a lady Ghostbuster someday when I grow up, my interest in the supernatural as a literature scholar is what a ghost or vampire means within a particular text, especially within a modernist or contemporary context. Folklore and legends function in much more slippery ways than their cousins myth and religion. Myths and religious rituals are sanctioned stories, with a generally unwavering discourse and structure. 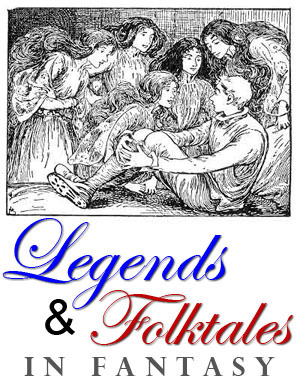 Folktales and legends are living texts. Dynamic and ever-changing, they are inherently inconsistent, unstable stories, open to a variety of interpretations and retellings. As Linda Dégh says in Legend and Belief: Dialectics of a Folklore Genre, “the legend, more than any other folklore genre, can make sense only within the crossfire of controversies” (2). When Dan approached me to write another post for his Fact in Fantasy series, I wanted to explore the use of folklore and legends in fantasy worldbuilding. What follows is not a complete analysis of these genres, but a product of my own journey in trying to understand the presence of the supernatural within Irish literature. As a creative writer, I have used this understanding of folklore and legends for characterization, worldbuilding, exposition, plot development, and foreshadowing in my own fiction. For the sake of this post, I shall borrow Dégh’s brief description of contemporary legends to include stories about “spirits, witches, demons, monsters, lunatics, criminals, extraterrestrials, and abilities of certain humans who are empowered with precognitions and magic that can identify these evil forces and protect us from their destructive power” (4). But such designations of “legendary” are culturally relative. As Barbara Walker explains in Out of the Ordinary: Folklore and the Supernatural, “Among Asian populations, it is not unusual to believe that honoring dead ancestors is mandatory for avoiding disharmony in one’s earthly life, or among Mormons to believe that spiritual interaction between people in this world and souls in heaven is an almost daily occurrence through ritual enactments in Mormon temples. Basically, when regarding the supernatural, what is agreeable within one group may seem superstitious, primitive, uneducated, or ignorant to another” (3). The difference between religion and folktale is that religious beliefs are sanctioned by institutions. However, a farfetched story that someone overheard from someone else? This is a folktale or “legend,” precisely because it is an oral story passed around through various back channels. We should not be quick to privilege one over the other, but understand how they function differently within culture. Beliefs in the supernatural can vary even below a single roof. For instance, when I was finishing up my dissertation, I managed my stress by binge-watching episodes of Ghosthunters on SyFy. My practical, skeptical husband (the Scully to my Mulder) would roll his eyes and make disgusted clicking noises as he walked through the living room, but every time football season rolls around, he develops incredible rituals involving the Green Bay Packers. “Belief” or “nonbelief” in the supernatural says a great deal about what an individual values and what he or she rejects. By setting up legends of the supernatural within an SFF novel, we can gain insight into how characters define themselves on both a micro and macro level. Some might argue that folklore or supernatural belief would have no place in a science fiction novel, but I would insist the ghost, the vampire, or the wee folk often make their cameo appearances in those moments when we are most insistent on our identities as modern subjects. To quote Walker again, “We may feel powerless before the juggernaut of technology, but technology is powerless and perhaps irrelevant when juxtaposed with the supernatural” (5). 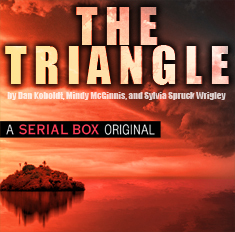 To put it another way, supernatural stories may be the only thing that can put our anxieties about technology at ease. 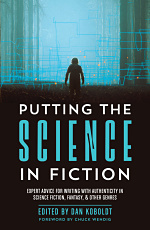 Using “supernatural” stories in an SF world otherwise dominated by technology can help highlight an individual’s or even an entire culture’s ambivalence toward such advancements. Questions for Worldbuilding: What is the “sanctioned” mode of belief in your SFF world? What are expressions of vernacular culture and how do these beliefs shape cultural practices? How might legends conflict with the sanctioned modes of belief within this society? What does your characters’ belief or nonbelief in terms of the supernatural say about them on personal levels? How might their beliefs in certain legends but not others reflect their various cultural backgrounds? In Ireland, the Faerie folktale is a type of grammar for explaining personal and/or cultural trauma, for expressing marginal histories, and designating and spatializing the “Other.” Even though part of an oral tradition, according to Angela Bourke in “Reading a Woman’s Death: Colonial Text and Oral Tradition in Nineteenth-Century Ireland,” the Faerie story possesses highly codified rules of discourse and often involves “the actions of real people in real places and real time” (569). All through the wild green hills of Ireland, one might stumble upon forts, also known as “forths” or “raths,” but even still within these rural societies, “they are sites of avoidance, overgrown and undisturbed, metaphors for areas of silence and circumvention in the social life of the communities which tell stories about them. They are places out of place; their time is out of time” (569). Oftentimes, stories about these raths emerged to keep invaders away from these precious archeological sites. During years of imperial rule, when the English did everything they could to strip away Ireland’s language and history, these raths stood, and still stand today, as reminders of the past. Stories abound of greedy English landowners who dismantled Faerie forts to till the land beneath only to fall ill to some terrible, supernatural calamity. Other popular stories include the forts existing as sites where people disappear as prisoners of the Fae. Most important to Bourke’s argument, is the majority of these stories of Faerie abduction involve women and children. While the changeling story can often absolve parental guilt from neglect, failure to thrive, or even infanticide, the Faerie story in particular often speaks to the “unspeakable” lives of women. As Bourke explains, “Adult women taken by the fairies were usually said to be brides, pregnant, or lactating, and…it is not difficult to imagine the variety of physical and mental illnesses, from anorexia to tuberculosis to postnatal and other depression, for which the discourse of fairy abduction might be found appropriate” (571). In other words, the fairy stories become the mode in which to talk about certain experiences that are without “language” in the larger discourse. Even in 2016, I still struggle to find words to discuss my postpartum depression coupled with the experience of having a severely colicky baby. A changeling story certainly would have fit the bill. The ghost story functions in similar ways as an expression of maligned history, the “return of the repressed,” or the resurrection of the abject or disavowed. In American culture, ghost stories often involve stories of women, children, runaway slaves, Native Americans, and so forth. These ghost stories are a way of preserving histories we might not otherwise be able to access: the history of domestic violence, of child labor, of the Underground Railroad, of massacres. Similar to the Faerie forts, ghost stories also preserve historical sites, in particular sites of modernization such as the asylum, the prison, the school, the factory. In what way do the legends within your SFF world allow for you to explore oppressed histories or cultural traumas? How do haunted spaces reflect both literal and figurative borders of acceptability? How do your legends reveal the “unspeakable” within your world? Supernatural tales, even within SFF worlds where certain elements of the supernatural are “normalized,” are great vehicles for characterization and worldbuilding. By exploring what cultures accept and what they reject, we can bring layers of complexity within these systems. Every person, every society is haunted by some spectre, and in spite of what my husband thinks, who doesn’t love a good ghost story? Bourke, Angela. “Reading a Woman’s Death: Colonial Text and Oral Tradition in Nineteenth-Century Ireland.” Feminist Studies 21.3 (1995): 553-586. Print. Degh, Lina. Legend and Belief: Dialectics of a Folklore Genre. Bloomington, IN: Indiana UP, 2001. Thomas, Jeannie Banks. “The Usefulness of Ghost Stories.” Haunting Experiences: Ghosts in Contemporary Folklore. Logan, Utah: Utah State UP, 2007. 25-59. Print. Walker, Barbara. “Introduction.” Out of the Ordinary: Folklore and the Supernatural. Logan, Utah: Utah State UP, 1995. 1-7. Print. Elizabeth Tanner is no Tinkerbell, and her life is no fairy tale. Broke and drowning in student loans, the one thing she wants more than anything is a scholarship from the Trinity Foundation. But after the ancient Irish text she’s studying turns out to be more than just a book, she becomes their prisoner instead. And when Trinity reveals Elizabeth is half-Fae, she finds herself at the center of a plot to save the magical races of Ireland from a brutal civil war. As Commander of Trinity’s elite warriors, Finn O’Connell isn’t used to having his authority challenged. He doesn’t know whether to punish or protect the infuriating young woman in his custody. When he discovers the Dark Fae want to use Elizabeth’s abilities to control the source of all power in the universe, he’ll risk everything to help her. Available now at Amazon.com, Barnes & Noble, iTunes, Kobo, Amazon UK, and Amazon Canada. As a child, Colleen Halverson used to play in the woods imagining worlds and telling stories to herself. Growing up on military bases, she found solace in her local library and later decided to make a living sharing the wonders of literature to poor, unsuspecting college freshmen. 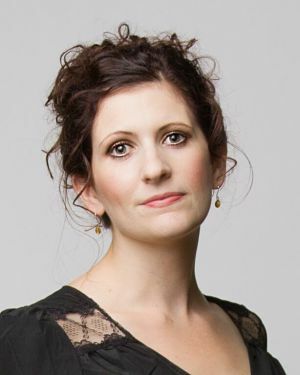 After backpacking through Ireland and singing in a traditional Irish music band, she earned a PhD in English with a specialization in Irish literature. When she’s not making up stories or teaching, she can be found hiking the rolling hills of the Driftless area of Wisconsin with her husband and two children. 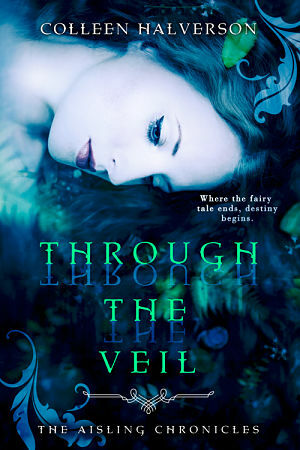 THROUGH THE VEIL is her first novel.